TUCSON, Ariz. — A Consumer Reports survey finds 80 percent of adults in the U.S. struggle with sleep at least once a week. And everyone has their own way of dealing with it. Melatonin is a sleep hormone that is naturally produced by the body and it’s also available as a popular supplement. Studies do show it can be helpful but only for some people under certain conditions. 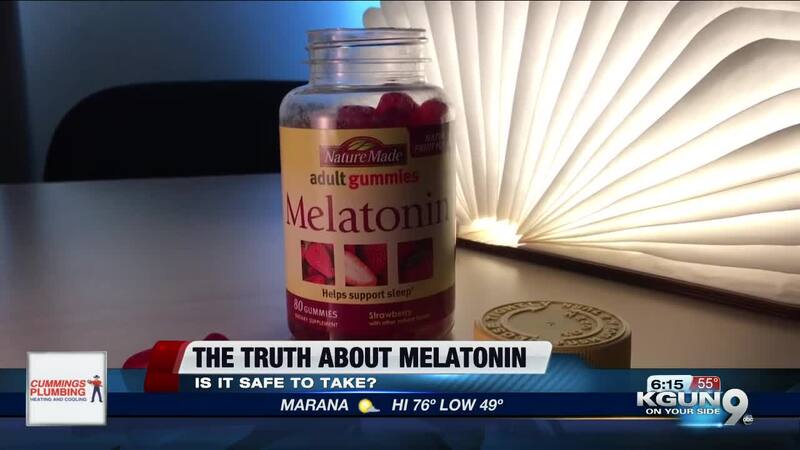 Still, there are lots of other people using melatonin, but is it safe? Taking more than what your body produces can cause you to be sleepy or mentally or physically slow the next day. Since melatonin is not regulated by the same rules as prescription and over-the-counter drugs, look for labels from ConsumerLab.com, NSF International, USP or UL. They provide some peace of mind that a product contains what’s on the label. Also, check with your doctor before starting melatonin. It can interact with blood pressure and diabetes drugs. And be aware of possible side effects. “After taking melatonin, some people report dizziness or nausea or they say they’re drowsy the next day," Friedman says. So, it’s best not to drive when using it. Consumer Reports also says there’s not enough research to know whether melatonin is safe to use for longer than three months. You should talk to your doctor if you have trouble sleeping.